Every year the streets of The Spot precinct come alive, with the sounds and smells of Randwick's biggest street festival. With the inaugural festival held in 2008, the popular local annual event has become an exciting celebration of multicultural entertainment and food attracting thousands of visitors throughout the day. A continuous program of music and entertainment on the street stage. Street Performers, emerging young talent shows, plus scores of stalls that line the streets of The Spot. 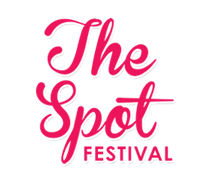 Produced by Randwick City Council in conjunction with The Spot Business Association, The Australian Film Festival and The Ritz Cinema, The Spot Festival is one of Sydney's most exciting street festivals.